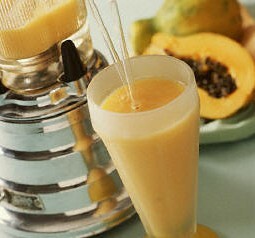 Blenders are not considered juicers because they do not separate the juice from the fiber. Read more about that here. They do serve an excellent purpose in the kitchen to make things such as salad dressings, smoothies, sauces, soups, and the like. We offer several commercial-grade blenders, that are much more powerful than the household blenders purchased at a local department store. The Dynapro and Greenis are NSF approved, and is usually found at juicebars and other commercial establishments. At this time, we only recommend you purchase a vacuum blender if you are blending for health. Based on published scientific articles, vacuum blenders can retain more valuable antioxidant vitamins and polyphenols that are damaged under traditional blenders like a vitamix and blendtec. Household Blenders generally have lower wattage and are not as efficient at blending but perform well for easy tasks or for people that don't want to spend alot for a blender. All these blenders use AC powered motors. Commercial Blenders generally have higher wattage and run at higher RPMs and have more motor power to blend even the most demanding jobs. It is recommended for people serious about getting the job done right the first time. All these blenders use AC powered motors. This Commercial Blender is unique in the industry, it is the most powerful blender available today that does not lose torque under load and saves up to 33% electricity over standard AC powered motors. Vacuum blenders are revolutionary. They remove excess air out of the blender carafe before blending which will reduce oxidation, so you can enjoy more nutrients, enhanced flavors and colors in your smoothies and blended mixtures. - Our pick for the "best" product in the category. It is our recommendation to you of the best buy for your dollar.